Free-arm sewing machines help you stitch around all the hard-to-reach places in various fabrics. The sewing machine makes it possible to work on cuffs, collars, and pant helms. Not all sewing machines have free-arm feature. To make it easier for you to select the best free-arm sewing machine, we have reviewed eight of the most popular ones that you can buy online. Singer Start 1304 Price: $78.70 "It does what it says it does, giving beginners a nice little launching pad without overwhelming them with extra features." 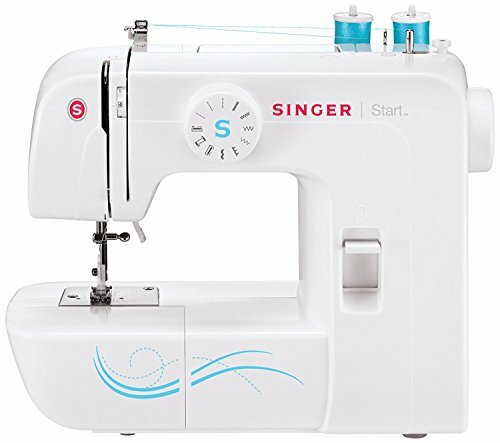 The Singer Start 1304 is a great free-arm sewing machine for beginners, and it features built-in stitches. It has a strong metal frame that keeps the machine stable during sewing. The sewing machine is portable and lightweight, making it easy for you to carry it to a store. The stitch length and width of the Singer machine are preset. This makes it easy-to-use for beginners. 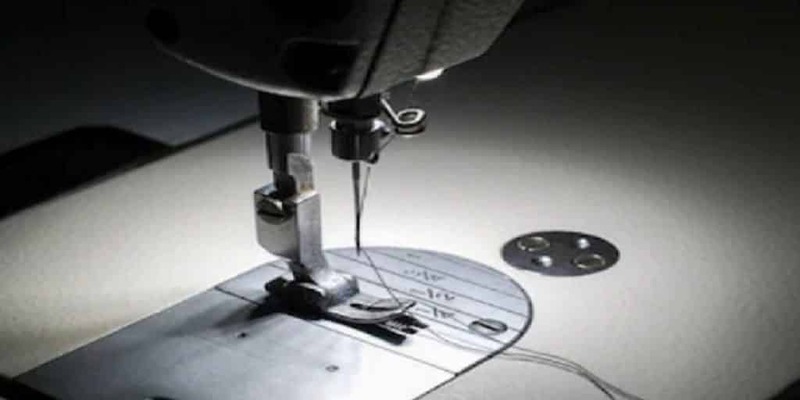 The sewing machine also features a stainless-steel bedplate that allows even sewing. There are 6 default stitches that you can select with a simple dial. Select a straight stitch for basic sewing. With a zigzag stitch, you can sew a simple applique. The blind hem stitch allows you to fix a hem, while the decorative scallop stitch allows you to embellish anything with the sewing machine. The Four-Step Buttonhole stitch allows you to easily add buttonholes. You can add button holes on clothing, pillows, and more. Lastly, the satin stitch allows you to completely cover a section of the fabric. You can also hem sleeves and trousers with this sewing machine. Just slide off the removable extension table. This will expose the free-arm that you can use for sewing small clothes. Here is a recap of the best features of Singer Start 1304 machine. 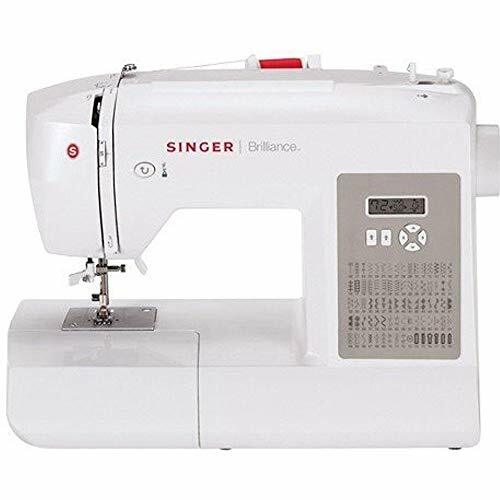 SINGER Fashion Mate 3333 Free-Arm Sewing Machine Price: "This is a great machine. The bobbin and needle threading was easy to do. It sews incredibly smooth." 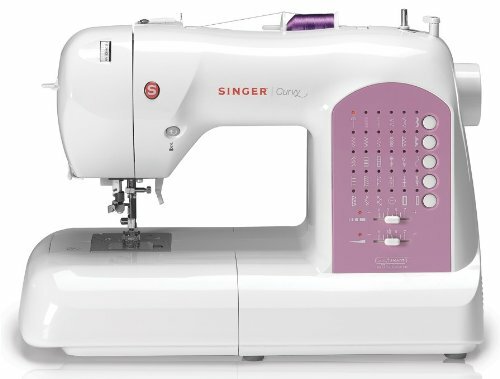 The Singer Fashion Mate 3333 is another great free-arm sewing machine. It boasts of 23 built-in stitches and 4 step buttonhole stitch. The sewing machine has an automatic needle threader and LED Light. You can easily use this Singer machine for sewing all types of fabric. The free-arm sewing machine allows easy access to small areas that are difficult to reach. You can use the sewing machine to stitch collars, cuffs, and more. An LED light will illuminate the sewing area for easy stitching. The top drop-in bobbin feature of the sewing machine allows you to monitor the thread supply when sewing. The sewing machine comes with a large range of accessories. These include buttonhole foot, zipper foot, all-purpose foot, zipper foot, button sewing foot, darning plate, a pack of needles, bobbins, seam ripper, auxiliary pool, and more. This Singer sewing machine also boasts of a heavy-duty metal frame. The frame provides stability and durability to the machine. You will love the automatic needle threader of this machine. Threading is as easy as 1-2-3. The machine will automatically thread the needle’s eye and spool within seconds. As a result, you won’t have to strain your eyes in order to thread the needle. The built-in stitch patterns include basic stitch, decorative stitches, and stretch stitches to name a few. You can select one of the 23 built-in stitches easily using the selector dial. What’s more, you can customize the stitch if you want using an adjustable stitch length. Here is a recap of the best features of the Singer Fashion Mate 3333 sewing machine. Singer Brilliance 6180 sewing machine is a premium model free-arm sewing machine. The sewing machine boasts of 80 built-in stitches and electronic speed control. This sewing machine has eight basic stitches, fifty-eight decorative stitches, eight stretch stitches, and six buttonhole stitches. You can find the right stitch for your sewing project. Threading of the sewing machine is a piece of cake. Automatic threading will save a lot of time. You can thread the entire machine including needle’s eye and spool within seconds. The instructions for threading are printed on the sewing machine. Using this free-arm sewing machine you can easily stitch smaller areas such as hems, collars, and others. The sewing machine has a lot of advanced features that can expand your sewing capabilities. You can adjust the speed of the machine using the electronic speed control. The sewing machine has a maximum sewing speed of nearly 750 stitches per minute. With this machine, you can sew a large number of clothes easily and quickly. The internal frame makes sure that the sewing machine remains stable when you are sewing. Due to added stability, you won’t have to worry about skipped stitches. The built-in stitches of this machine are set at the best settings. However, you can adjust the stitches according to your sewing needs. The machine also comes with a lot of accessories including needles pack, seam ripper lint brush, foot pedal, darning plate, auxiliary spool pin, and more. Janome 2206 Sewing Machine with Exclusive Bonus Bundle Price: $169.00 "Great little machine. Very basic, with 12 stitches and a buttonhole." Janome 2206 sewing machine is another great entry-level free-arm sewing machine. The sewing machine comes with built-in thread cutter and drop feed dog features. It also has snap-on presser feet that allow easy sewing. The sewing machine may not be as versatile as the Singer free-arm machines reviewed above, but it is great for beginners. There is no need to set up anything. You can start sewing the moment you take off the cover. The Janome sewing machine has 6 built-in stitches that can help you to stitch in a variety of patterns. You can customize the width of the stitch easily with a dial. A great feature of this sewing machine is the drop feed dog feature. The drop feed will move back and forth in slots pulling the fabric in discrete steps in between stitches. The built-in pressure feet and thread cutter will save you a lot of time when sewing. It is a good machine for light simple sewing and repairs. Let’s recap the highlights of this free-arm sewing machine. The Brother XL2610 is mid-level free-arm sewing machine that offers great value for money. The sewing machine has 25 built-in stitches. Moreover, there are about 59 stitch functions. You can select quilting stitches, decorative stitches, garment construction stitches, blind helm, and stretch stitches. The built-in stitches make sewing easy and quick saving a lot of time. A great feature of this sewing machine is the automatic buttonholer. The sewing machine can place buttons automatically saving you a lot of time. In addition, the built-in thread cutter and the automatic needle threader will also save a lot of time. This sewing machine features a drop-in bobbin system. The system also supports automatic bobbin winding system. The reverse function makes sewing easier as compared to rotating fabric over and over again. The XL2610 free-arm sewing machine allows you to sew pant legs and cuffs easily. You can also convert the machine back to a flatbed for sewing larger clothing items. You can customize the stitch length and width easily. In addition, you can control the dial thread tension control as required. The sewing machine also has a built-in light that can illuminate the sewing area. In addition, the sewing machine has a safety power switch that prevents damage to the machine. Again, let’s recap the highlights of this free-arm sewing machine. 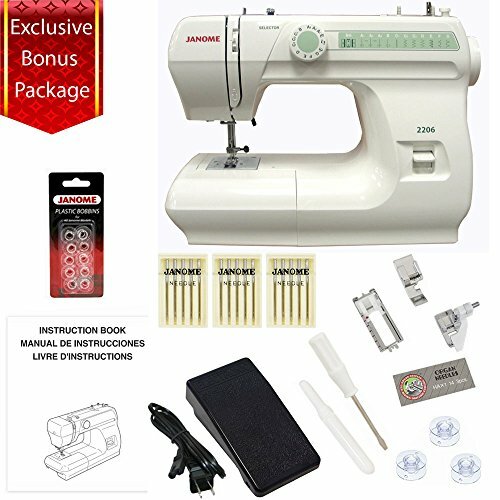 Janome 2212 Price: $189.00 "Whether you're a beginner or a seasoned seamstress, this machine offers top quality performance." Janome 2212 stitch is another great free-arm sewing machine that is great for the beginner. The sewing machine is flexible and lightweight. It is a quality sewing machine that is great for beginners. The sewing machine has 12 built-in stitches. Moreover, there is a four-step buttonhole stitch feature. You can select the stitch pattern and width easily using the selection dial. You can find convenient features such as the built-in thread cutter and the presser feet. 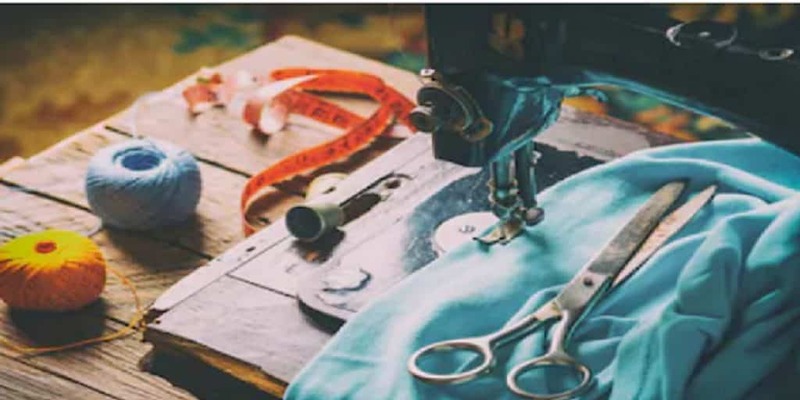 The sewing machine comes with a lot of accessories such as Zipper foot, sliding buttonhole foot, blind hem foot, bobbins, needles, and seam ripper. The sewing machine can handle thick fabric easily. Using the machine, you can sew folded cotton fabrics and jeans without any problem. 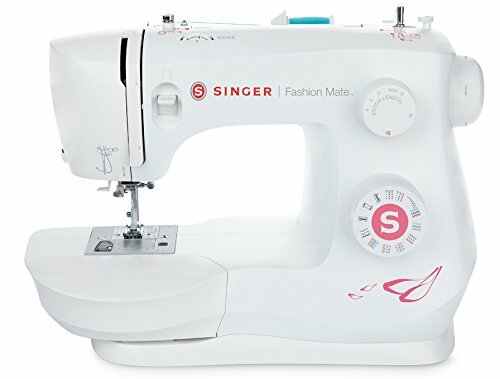 SINGER | Curvy 8763 Computerized Free-Arm Handy Sewing Machine Price: $214.47 "So far I can say that the machine has easy set up and intuitive operation." Singer Curvy 8763 is another rugged premium quality free-arm sewing machine that packs a lot of features. The sewing machine has 30 built-in stitches. There are six utility stitches, seventeen decorative stitches, five stretch stitches, and two automatic 1-step buttonholes. You can customize the stitches by sliding the width and length controls to the right or left. You can find the stitch selection buttons at the front. A reverse stitch button is located above the needle that makes stitching fabrics a breeze. Automatic tension adjustment sets the correct tension for the fabric. In addition, there is a tension dial located on the top of the machine to customize the tension. A great feature of this sewing machine is the drop and sew bobbin. You just need to drop the bobbin and sew. Another time-saving feature is the automatic needle threader that allows you to effortlessly thread the machine. Beginners will like the bobbin winding guides that make it easy to set the sewing machine. The onboard case can be removed to use the free-arm. A switch on the back of the free-arm allows you to raise or lower the feed dogs. 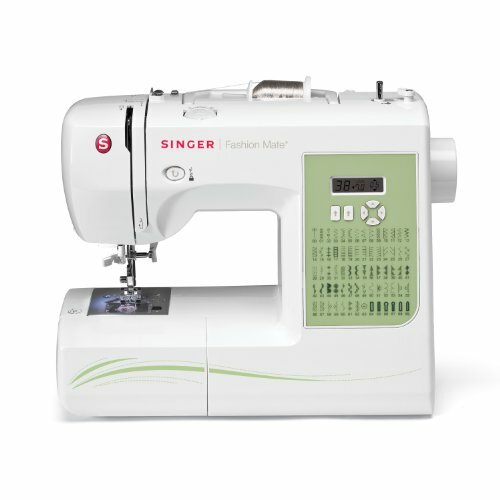 Singer Fashion Mate 7256 is another model of the popular free-arm sewing machine. The premium model sewing machine boasts of a lot of advanced features. This sewing machine has over 70 built-in stitches. The rugged free-arm sewing machine is perfect for quilting, crafting, and sewing. The sewing machine has an LED display screen that illuminates the sewing area. Moreover, the sewing machine features automatic needle threader, and stitch length and width. Easy-to-load drop-in bobbin makes it easy to stitch clothes. The sewing machine has 6 automatic 1-step buttonhole systems that provide a professional finish. 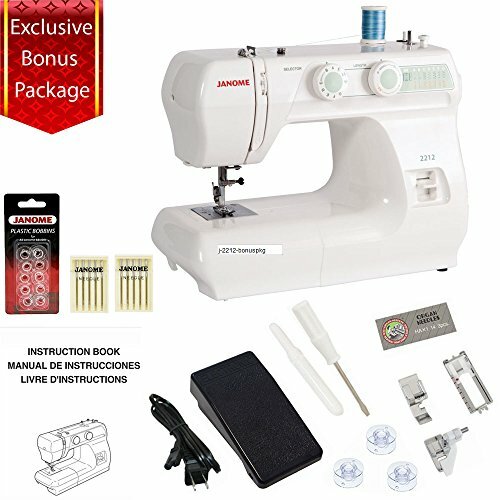 The sewing machine comes with a lot of accessories such as zipper foot, all-purpose foot, satin stitch foot, blind hem foot, lint brush, and dust cover. Let’s recap some of the value-added features of this amazing free-arm sewing machine. 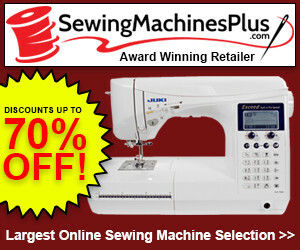 All the free-arm sewing machines reviewed in this blog post offer great value for money. The prices are perfectly matched with the quality features of the machines. For beginners, the best free-arm machines include Singer Start 1304, and Janome 2206 and 2212. Mid-level free-arm sewing machines include Brother XL2610 and Singer Fashion Mate 3333. Premium quality free-arm machines include the Singer Brilliance 6180, Singer Curvy 8763 and Singer Fashion Mate 7256. What’s best for you depends on your stitching requirements, sewing skill level, and the budget.